﻿ Don Ferrante Hotel, Monopoli | FROM $108 - SAVE ON AGODA! "The staff was professional and helpful." Have a question for Don Ferrante Hotel? 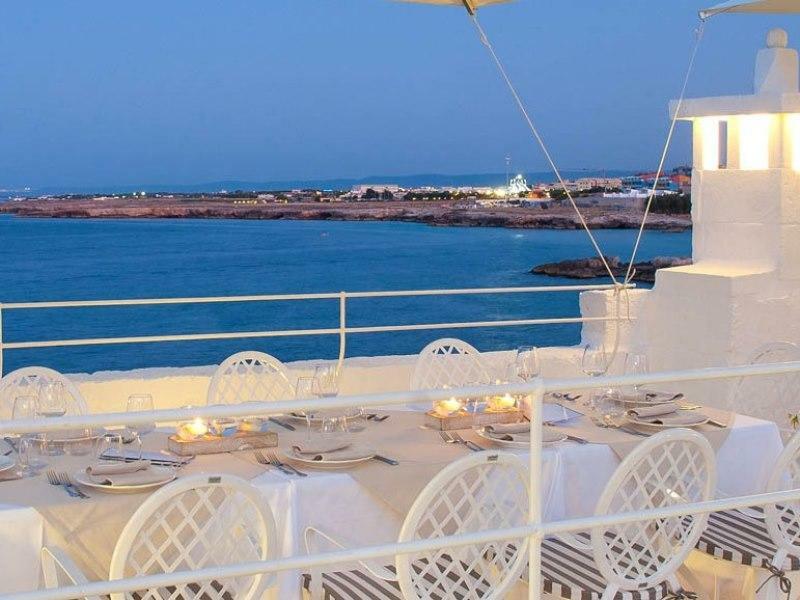 "A beautiful beautiful hotel in a wonderfully converted old b..."
For travelers who want to take in the sights and sounds of Monopoli, Don Ferrante Hotel is the perfect choice. Only 55. Km away, this 5-star hotel can be easily accessed from the airport. 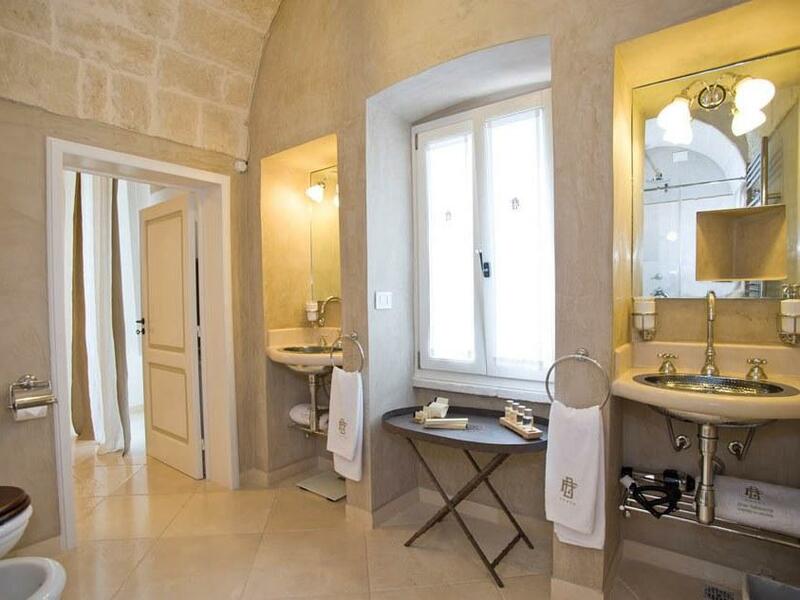 A haven of rest and relaxation, the hotel will offer total renewal just steps away from the city's numerous attractions such as Chiesa di San Salvatore, Chiesa del Purgatorio, Museo e Sito Archeologico Cripta Romanica. Offering hotel guests superior services and a broad range of amenities, Don Ferrante Hotel is committed to ensuring that your stay is as comfortable as possible. The hotel offers access to a vast array of services, including free Wi-Fi in all rooms, 24-hour front desk, facilities for disabled guests, luggage storage, Wi-Fi in public areas. All guest accommodations feature thoughtful amenities to ensure an unparalleled sense of comfort. The hotel offers an excellent variety of recreational facilities, including hot tub, private beach, outdoor pool, massage. Discover an engaging blend of professional service and a wide array of features at Don Ferrante Hotel. "The complimentary breakfast was outstanding." The staff was professional and helpful. The room was clean, modern and beautiful. The complimentary breakfast was outstanding. The location was excellent for what we needed. A beautiful beautiful hotel in a wonderfully converted old building making each room unique. It's a bit confusing - not all rooms connect easily to the restaurant and reception (you go outside and back in again) but this only adds to its charm. Right in the center of the old town which itself is stunning. Staff friendly, breakfast lovely. Sadly we didn't have dinner as the terrace closed due to bad weather. Note if you arrived late at night you may not be allowed to drive up to the hotel (cars banned in old town at certain times) and taxi will stop at bottom of hill and call the hotel. It's only a few mins walk - was mainly confusing due to our lack of Italian so if this happens you will know why! Un hôtel de rêve :La situation est excellente (face à la mer ,dans la partie historique de la ville ,la restauration des locaux est une vraie réussite ,luxe et sobriété allant de paire ,les petits déjeuners sont délicieux et varies . Et que dire du personnel ,sinon qu'il est charmant et tout à fait disponible . Un hôtel en tout point parfait . Sebbene arrivati in forte ritardo, abbiamo trovato il personale dell'hotel pronto ad accoglierci e molto disponibile. L'ambiente è raffinato, e viene fatto di tutto per fare sentire il cliente a proprio agio, quasi a casa propria. L'ubicazione ed il panorama fanno il resto. Impressione eccellente.